If you are like me you know nothing about flowers. But I know what is most important, they are gorgeous, smell great and I ADORE getting them. Other than that, my expertise runs out. As I grow into this blog, and share my own tips, I have realized that many people are just like me; lazy and just too busy. They want the best, but don’t always have the time, or patience to achieve results that Martha bequeaths onto us. My motto in life GO BIG OR GO HOME, and keep it SHORT, SIMPLE and STUPID-(all while making it look fabulous) are words that I live by. I demand simplicity and I demand things to be easy and effortless. But the designer in me still wants Martha results, just without all the work! Florals are something I cherish. After my husband and I got married he became good friends with a local florist and I was lucky enough to receive fresh flowers on a weekly basis. I prized their beauty and relished in having a kitchen island adorned with fresh flowers. Once we moved to Las Vegas my days of receiving fresh flowers on a weekly basis stopped and I was forced to live with out them. Still wanting Martha results without all the work I learned how to wing it, and found that florals were not nearly as intimidating as I had thought. And despite not knowing most of their names, my color and design background served me well and allowed me to make fabulous florals. 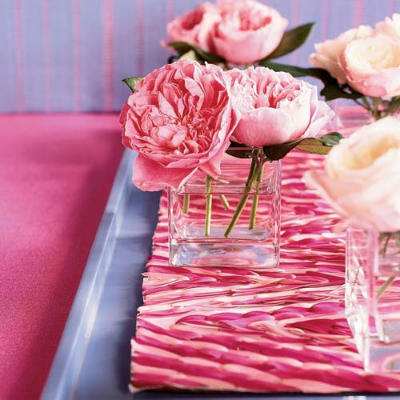 Keeping one color is a classic practice in floral design and the simplest approach. 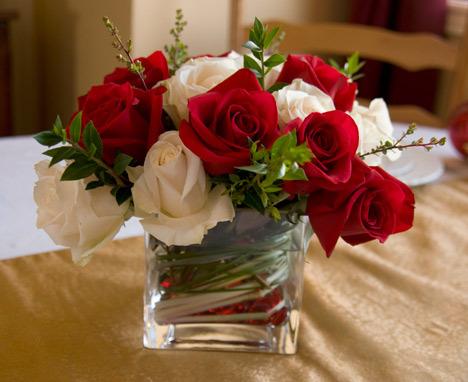 Group flowers by color and your arrangements will always look amazing; and also be easy! For some added pizzaz, group the flowers with other groups in a row for extra style; this looks chic, expensive, and custom made from the floral shop. Greenery is plentiful this time of year and easy to find. Ivy, eucalyptus, magnolia leaves, boxwood branches and herbs are plentiful in the fall and winter. When flowers are typically hard to find, use greenery for holiday arrangements, or combine them with your favorite holiday flowers like hypericum berries. Take two calla lilies and wrap around a votive, secure with ribbon. Simple and oh so WOW! 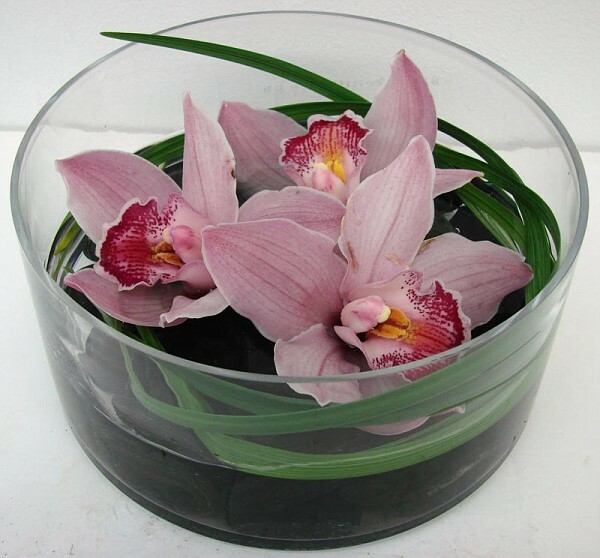 combine it with an orchid or one of your favorite holiday flowers. 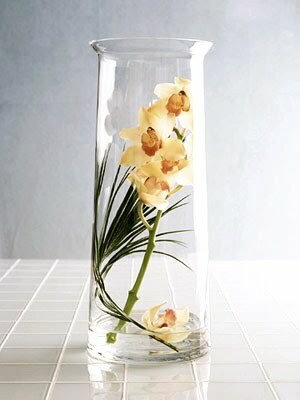 inside perimeter of vase, and gently place Cymbidium orchids or lilies into the vase. Smith and Rogers is known as the best place in Nashville to shop for loose flowers, but most major cities have a place, or mart that can provide you what you need. If not, Smith and Rodgers ships nationwide. If the local floral mart is not within your budget, your local grocery store can provide a large array of options. I went to three different stores here in town and found that most arrangements were $12 or less. I suggest buying 2 or 3 bundles of the same floral, or same color and purchase or find greenery from your yard to add in. 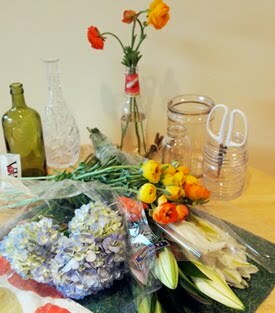 The caveat to grocery store flowers is the quality is not the same as your florist. Florals from your local florist are top quality, first picks. Grocery store flowers are two-five days old, and second picks. In a nutshell, the flowers from the grocery store are going to die in about three to five days. 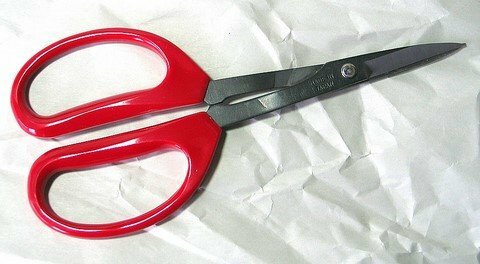 Your florist will provide flowers that will last 2 weeks. This is important to remember when entertaining. If you want to make arrangements ahead of time, keep this in mind. 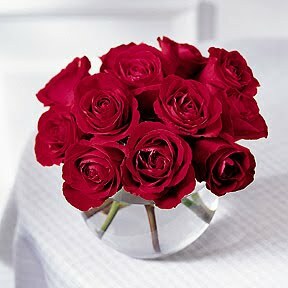 Also keep in mind that roses are THE most competitive and most sold flower on the market. Most floral marts sell a dozen top quality roses for less than $29.99. Smith and Rogers offers a bundle of roses starting at $23.99 and they stand behind their product. If you have any problems or are unhappy with them they will replace them! Your grocery mart will not offer this service. -Before building your arrangement, prepare the flowers properly. Remove all leaves (they carry bacteria) that will touch water. -Change the water every three days. Do not put floral packs into the water that the grocery stores often provide. 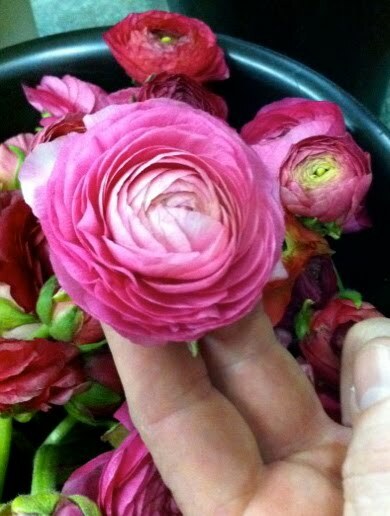 Most flowers cannot absorb it in their stems, and it clouds the water. 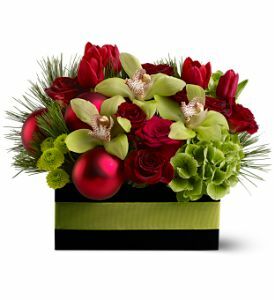 Now you are ready to start designing fabulous florals for this holiday season! I’d like to thank Danny at Smith and Rodgers for answering all my idiotic questions about flowers, and sharing his top tips on holiday florals! Beautiful inspiration for me to incorporate into my holiday planning!!! Thank you for these helpful tips. I love flowers, but I am not the most talented floral designer. 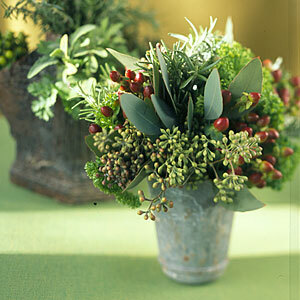 I love greenery too, and not only is it beautiful and inexpensive,it is a perfect filler. I am flower impaired as well. I do love that single bloom in the tall cylinder vase. So simple, so beautiful! Those are FANTASTIC ideas and the flowers are putting me right in the mood! Can’t wait to start decorating the house for the holidays! Thanks for all the really really useful ideas! stunning post with fabulous tips and ideas darling — I myself, am partial to greenery, I love mixing white and green, looks crisp and clean…but gotta love hot pinks and dark purples too. Hi to you all I put this topic here to give you an idead to make capital 0nline nice and easy! Just go trought the links down and start winnig money today on http://www.ptcsense.com/index.php?ref=reidopoker ! 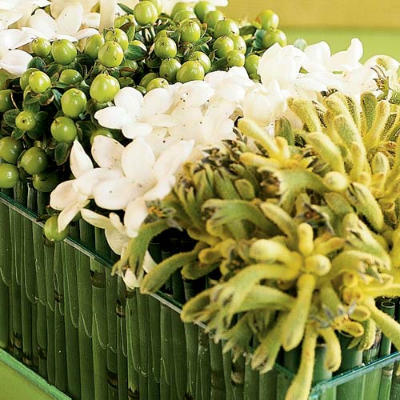 The definitive book on flower arranging for me is:small big book by Charles Masson: The Flowers of La Grenouille: http://www.amazon.com/Flowers-Grenouille-Charles-Masson/dp/0517590573. Charles Masson, son of the founder of the iconic restaurant explains combinations, hues, and conditioning. I have no dog in this fight. It is my favorite flower book.